Beverly Hills: Sunday, November 6, 2016, 7:00 p.m.
Redondo Beach: Monday, November 7, 2016, 8:00 p.m. Thousand Oaks: Tuesday, November 8, 2016, 8:00 p.m.
Pasadena: Wednesday, November 9, 2016, 8:00 p.m. Millions of people around the world cheered this maverick on, moved by her undeniable tenacity to be the first to make the historic crossing without the aid of a shark cage. At the end of her magnificent journey, after thirty-five years and four crushing failures, the public found hope in Diana’s perseverance. They were inspired by her mantra—find a way—that led her to realize a dream in her sixties that had eluded her as a young champion in peak form. Nyad has never been one to quit. 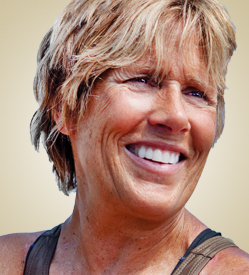 In July of 2010, at the age of 60, she began her “Xtreme Dream” quest of swimming from Cuba to Florida, a task she had failed to finish thirty years previously. When asked her motivation, she replied, “Because I’d like to prove to the other 60-year-olds that it is never too late to start your dreams.” Nyad was unsuccessful in her quest in 2010 and tried two more times 2011 and 2012 before completing last year’s historic swim. Back in the 1970′s, Diana was a world champion setting the record for swimming around Manhattan Island, along with other ocean-swim achievements, all of which rendered her a star at the time. Back then, she made the first attempt at the Mount Everest of swims, the Cuba Swim, but after forty-two hours and seventy-nine miles she was blown desperately off course. Her dream unfulfilled, she didn’t swim another stroke for three decades. Nyad became a prominent sports broadcaster, filing compelling reports for NPR, ABC’s Wide World of Sports, Fox Sports, and the New York Times. She has written three books her most recent New York Times best-seller is “Find a Way”. She speaks French and Spanish fluently. Nyad has also earned the reputation of a uniquely passionate and entertaining public speaker, earning standing ovations.